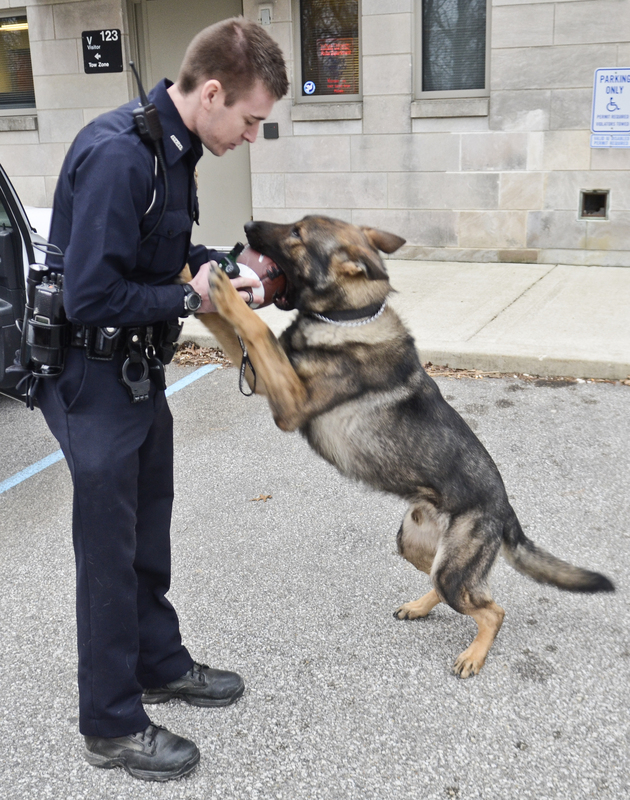 Collins plays with Tery on Feb. 10, 2012, outside the IUPD station in Bloomington, Ind. before going out on patrol. Tery found the football and adopted it as a toy.